A day after Washington confirmed suspending $255 million of military aid to Pakistan, the White House said that further action against Pakistan would be announced in the next 24-48 hours. 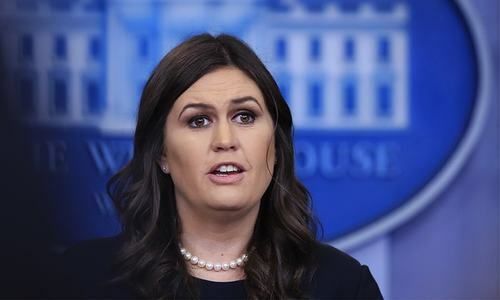 Addressing a daily press briefing on Wednesday, US Press Secretary Sarah Sanders said that the actions being taken against Islamabad by Washington are a follow-up to Trump's South Asia policy announced last year. "The president is simply following through on a commitment that he made," she said, referring to Trump's speech in which he had accused Pakistan of "not fulfilling its obligations". 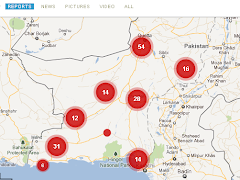 “We can no longer be silent about Pakistan's safe havens for terrorist organisations,” Trump had said in August last year, warning that vital aid could be cut. "We know that Pakistan can do more to fight terrorism, and we want them to step up and do that," the press secretary said on Wednesday, adding that Trump feels Pakistan "is not doing enough" to combat terrorism. She said that information on further action against Pakistan would be made available over the next couple of days. "In terms of specific actions, I think you’ll see some more details come out on that in the next 24 to 48 hours," Sanders told the US media. The White House's move to suspend military aid on Tuesday has been seen as the first step to implementing President Donald Trump’s pledge to tighten economic restrictions on Pakistan. Military aid to Islamabad was cut after Trump, in a tweet, accused Pakistan of of being a liar. The tweet had come in the aftermath of an increasingly terse back-and-forth between Washington and Islamabad since Trump announced his administration's latest national security strategy. Hitting back at the US, the civilian-controlled Foreign Office (FO) had also warned against the "malicious campaign"being "used to trivialise Pakistan's achievements in the war against terrorism", and noted that "allies do not put each other on notice."